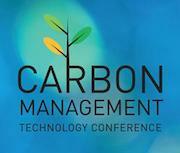 The 2017 Carbon Management Technology Conference (CMTC 2017) focused on carbon capture, utilization, and storage (CCUS) technologies that provide options for lowering greenhouse gas emissions while maintaining fuel diversity for sustainable growth. CMTC 2017 provided an unbiased platform to present information on carbon management solutions for continued energy and economic growth. The Carbon Management Technology Conference 2017 (CMTC 2017) built on CMTC 2015 that attracted over 200 speakers and attendees from 16 countries, of which, 54% were from industry, 34% from academia/research organization and 12% from numerous governments. Proceedings are now available here. Interviews from the conference will be coming soon. Plenary speakers included Charles (Chuck) McConnell, Jeff Erickson, Janet Gellici and others. See the full list of plenary speakers and topics. Fred’s practice focuses on advocacy before the United States Congress and federal agencies, including legislation, rulemakings, permitting, and federal policy. Professor Victor B. Flatt returned to the University of Houston in 2017 as the Dwight Olds Chair in Law and the Faculty Director of the Environment, Energy, and Natural Resources (EENR) Center. He also holds an appointment as a Distinguished Scholar of Carbon Markets at the University of Houston’s Global Energy Management Institute. He was previously the inaugural O’Quinn Chair in Environmental Law at UHLC from 2002-2009. E. Dennis Griffith is a Senior Project Manager at Granherne, KBR's front end consulting affiliate. Much of his professional work is evaluation of economic viability of projects during their concept development phases including developing high level and detailed cost estimates and performing financial analyses. His work also includes developing, monitoring, and reporting project budgets. George Koperna is a Vice President and Reservoir Engineering Manager with Advanced Resources International, Inc. In this capacity, Mr. Koperna oversees an interdisciplinary team of geologists, engineers, and economists. He has over 20 years of experience in evaluating subsurface reservoirs for the purposes of field development optimization, improved and enhanced recovery projects, as well as carbon storage applications. Mr. Vello A. Kuuskraa, President of Advanced Resources, has over 40 years of experience in energy resources development, technology and economics. He is an internationally recognized expert on the technologies of unconventional gas and enhanced oil recovery and their adaptation for CO2 sequestration. He serves as the Chairman of the Advisory Board for the Carbon Capture Project, a major industry/government partnership involving BP, Chevron and Petrobras working on advanced CO2 capture and storage technologies. Charles D. McConnell is Executive Director of Rice University's Energy and Environment Initiative, a university-wide effort to address the diverse issues associated with energy and the environment. The Initiative is designed to partner with industry and external stakeholders to position Rice as an impartial broker that combines technology and policy to create a sustainable energy platform in resource utilization and environmental stewardship. Frank Morton currently serves as Director Technology Development for the National Carbon Capture Center (NCCC), after more than 35 years of experience as a chemical engineer in both industrial and research roles. He is currently responsible for bringing university, government and industrial organizations to the NCCC for collaborative technology development. This role includes identifying technology developers and coordinating agreement among the developer, the U.S. Department of Energy (DOE) and NCCC industrial partners on contracts, funding and test plans. Jesse Thompson received his Ph.D. in Analytical Chemistry from Western Michigan University in 2011. He joined CAER in 2012 as a Postdoctoral Scholar and is now a Principal Research Scientist in charge of the Analytical Research Group. Greer Tidwell serves as Director of Environmental Management for Bridgestone Americas (Bridgestone), where he leads environmental performance, compliance, and reputation progress for the company’s North and South American tire manufacturing, testing and distribution facilities. Pathways not Targets. Let’s Get Serious.